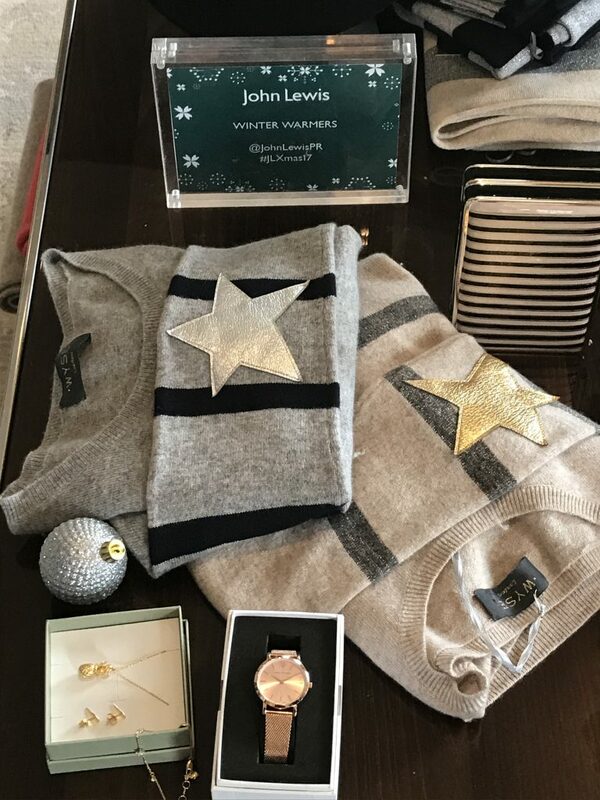 This morning, Fran and I went along to the John Lewis Christmas press day. 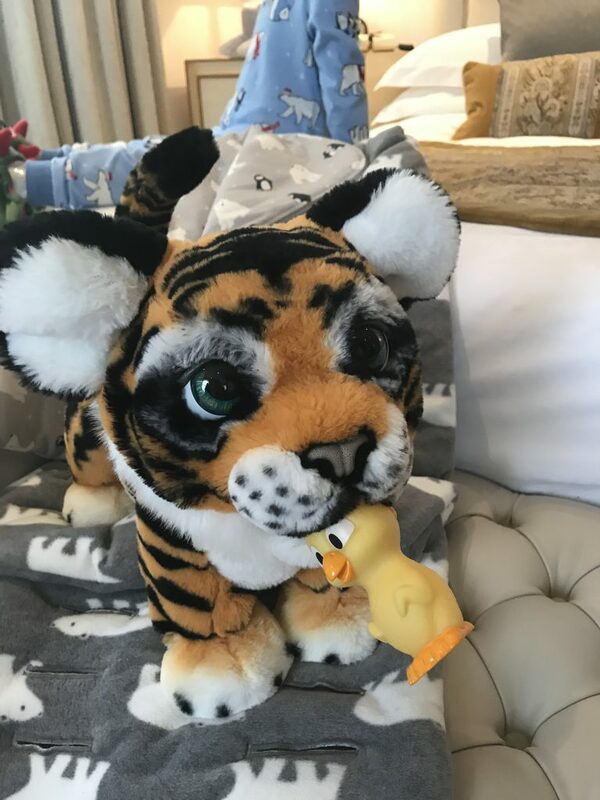 Rather than snapping it for my stories, which disappears after 24 hours, I thought I would share the things that caught my eye, so that you can come back to this post when you are ready to start thinking about Christmas shopping. I am always so envious of my friends who have all their xmas shopping done and dusted by the 1st December. I am never that organised, but I do try to buy the odd gift to put away in October and November. Even if it just makes a little dent, it helps with general December chaos. I am extremely excited about John Lewis first beauty advent calendar . 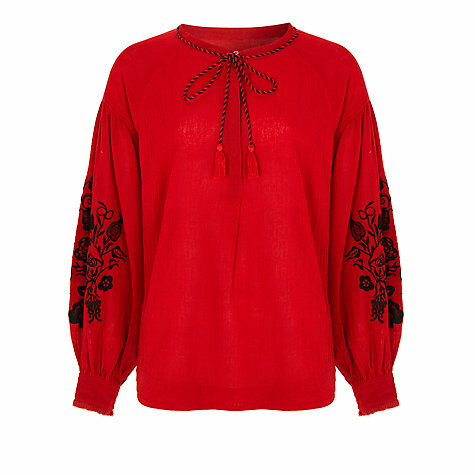 Be warned it is a goodie and according to the PR ladies, they are selling like hot cakes, so don’t wait to buy yours. The contents of the calendar are worth £300 and there are some amazing beauty brands like Charlotte Tilbury, Sarah Chapman and Nars to name a few. There is even a miniature bottle of ‘Chloe Eau De Parfum’ (I am guessing that might be number 25?!) 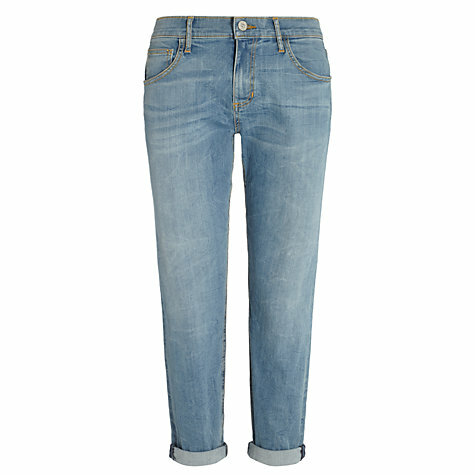 which is the perfect size to take away with you or pop in your clutch bag. Most of you will know I am a big fan of Wyse Cashmere jumpers and these would make the perfect gift for your mum, sister or best friend. They’d even make an amazing gift for the teacher if the whole class clubbed together. 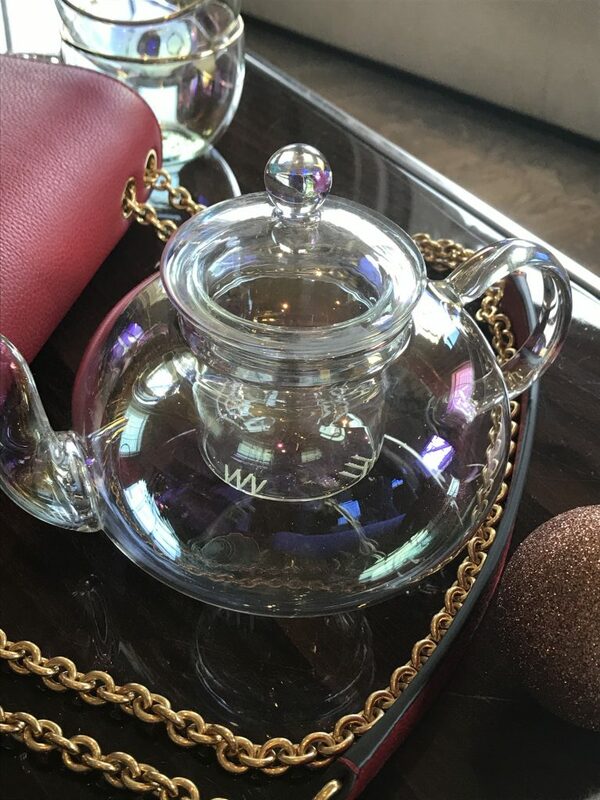 I have a teapot very similar to this and absolutely love it. If you know someone that likes mint or any other herbal tea, this would make a great gift. I have swapped my large purse for a coin purse to save room in my handbag, especially useful for when I use a smaller, cross body bag. 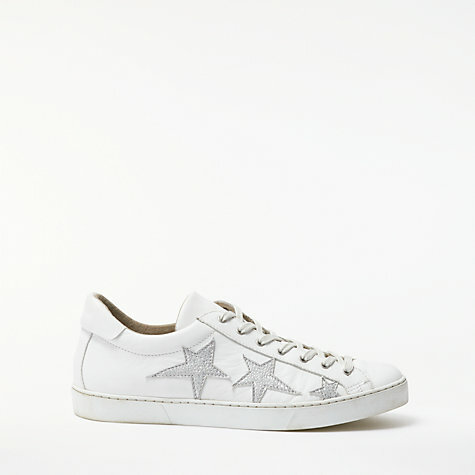 I think these would make a really lovely gift. 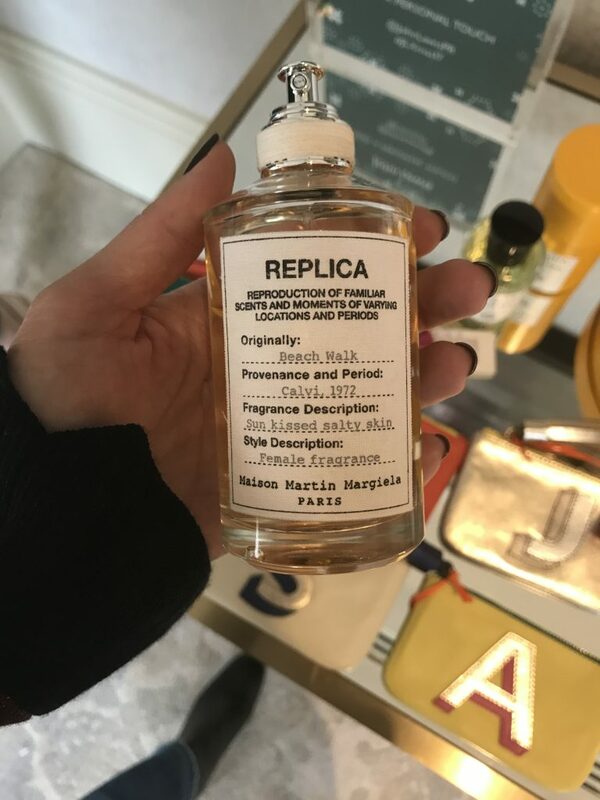 If you love a sentimental touch this amazing fragrance by Maison Margiela (whose Creative Director is John Galliano) can be personalised with a memory. Perhaps you want to remind a friend of a special weekend you shared in Paris, or your best friend’s hen do? The label is tailored to reflect your memory. 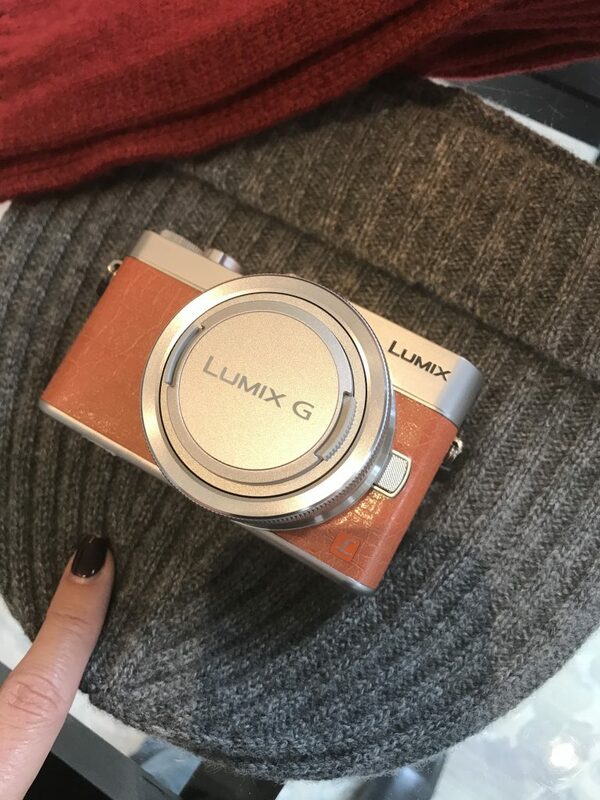 For anyone who is looking to invest in a good camera that isn’t too bulky, I would seriously consider this one. My Olympus Pen which I have used (and abused) every day for 2 years has seen better days and is starting to fall apart. I thought about replacing it with the newer model but having read a few reviews I am wondering if I should consider this one instead. The Olympus is £549 and this one is £399, so there is a significant price difference. I think a good camera would be a lovely ‘joint’ present for a family to buy at Xmas. I don’t think the quality of iphone snaps can ever match those taken on a proper camera (evidence right here in this post, all snaps today were taken on my iphone) and it’s really important to have good quality pictures of your family. 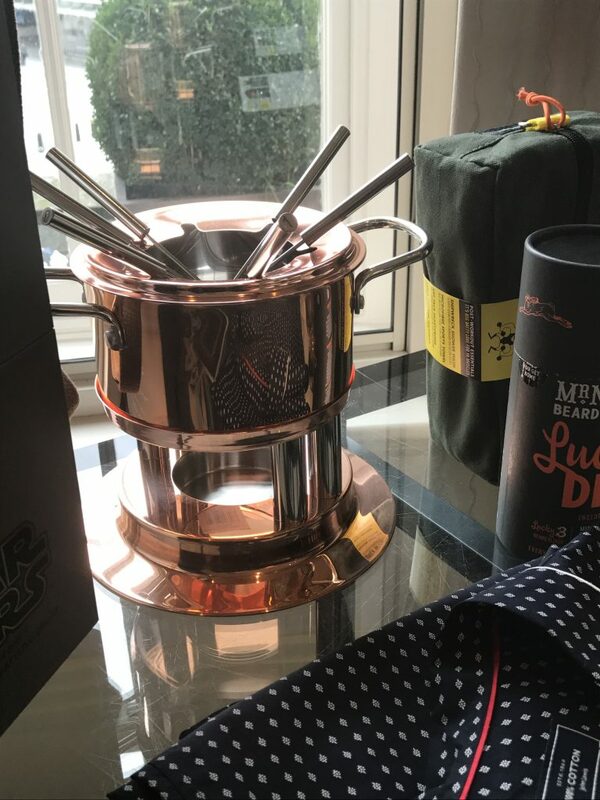 For the man that has everything, this beautiful copper fondue set would make a great present. 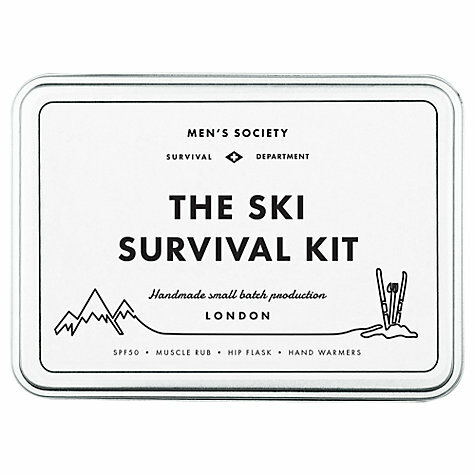 These Men’s Society Survival kits also make fun gifts for those who are particularly tricky to buy for. The Ski one is my favourite. 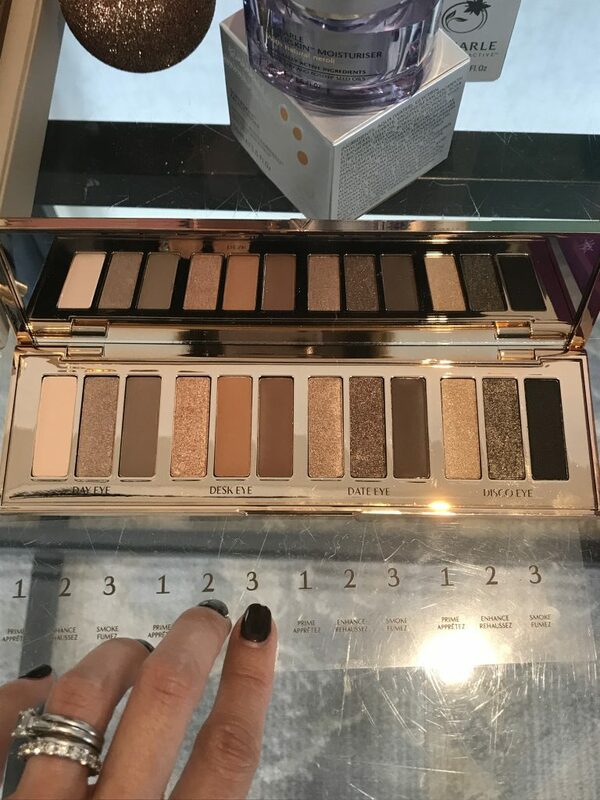 Charlotte Tilbury Palette – arriving soon. Virtually ANYTHING from Charlotte Tilbury make-up range would make the perfect gift for the ladies in your life. I am such a fan of Charlotte Tilbury and would be delighted to receive a new lipstick or one of their cult products for xmas. My favourite lipstick shades are Secret Salma and Pillow Talk and I swear by the Filmstar Bronze and Glow. He’s not cheap but he is amazing! These would make the perfect gift for any ‘tween’ girl and they also come in this cute mini version for younger girls. There were quite a few things that caught my eye in the clothes section. Most of these are not due to drop until the 2nd October so I can’t show you until then, but there are a few brands to look out for. 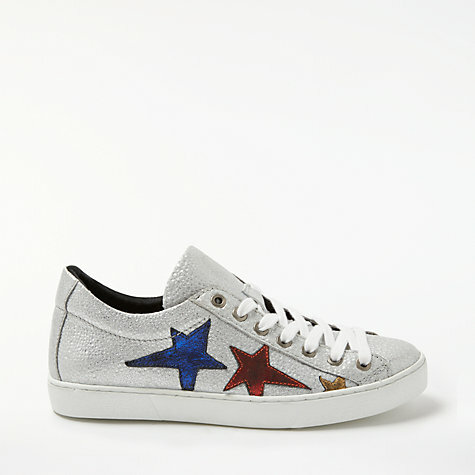 I love these trainers (leather), this gorgeous red top and really liked the look of their jeans. 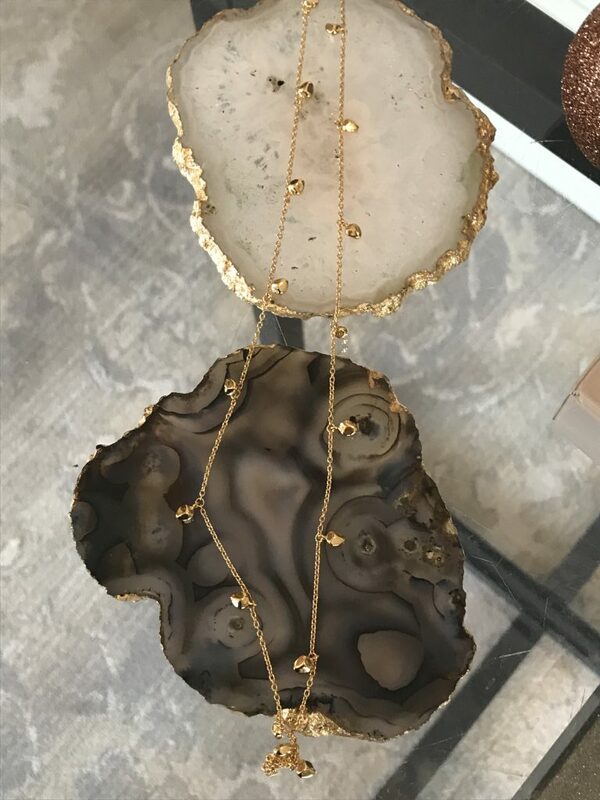 The HUSH range for John Lewis has some gorgeous bits on their way. I will share with you as soon as they are available. 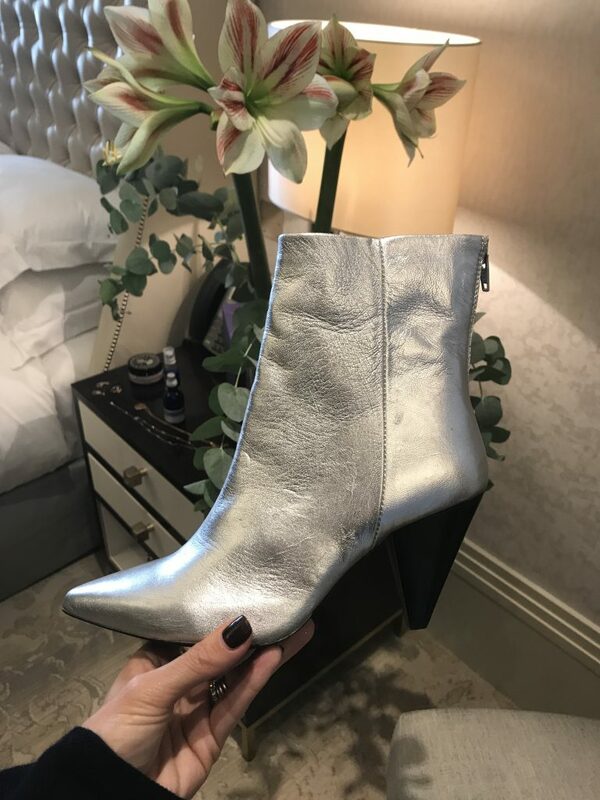 I also really loved these silver boots by Kin. 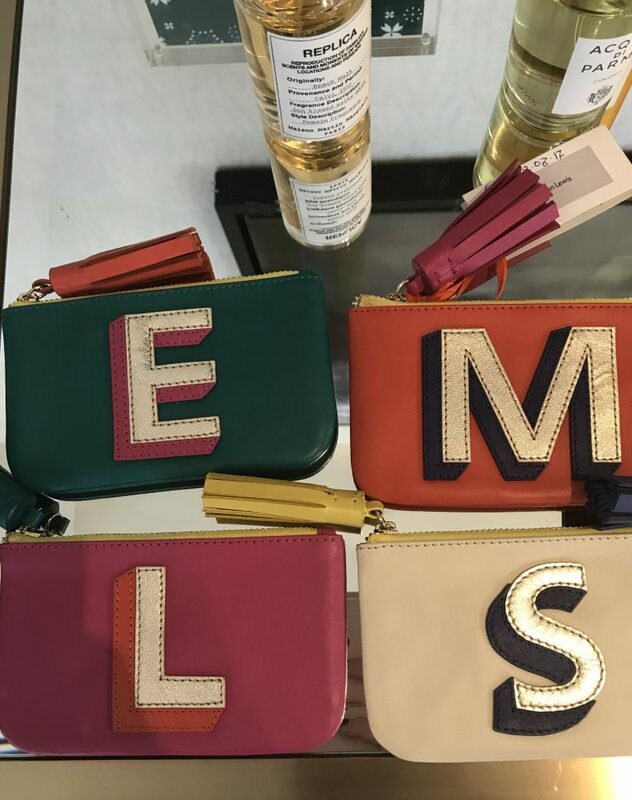 John Lewis really is a one-stop shop for Christmas Shopping, but I think sometimes it’s easy to get lost in choice, so hopefully this edit will help a bit. 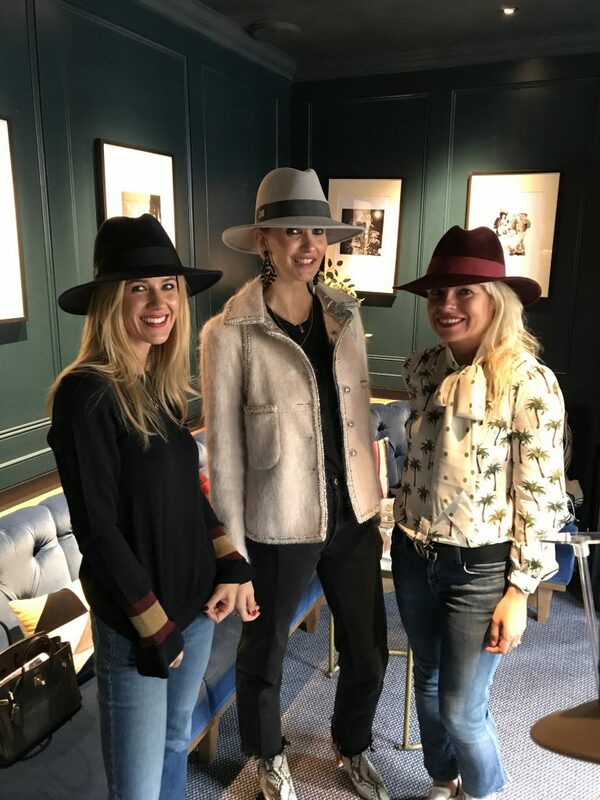 My day started with a lovely breakfast at Quo Vadis to see Davina Mulford’s beautiful new range of fedoras. If you are a winter hat person, do have a look at her Fedora Collection. 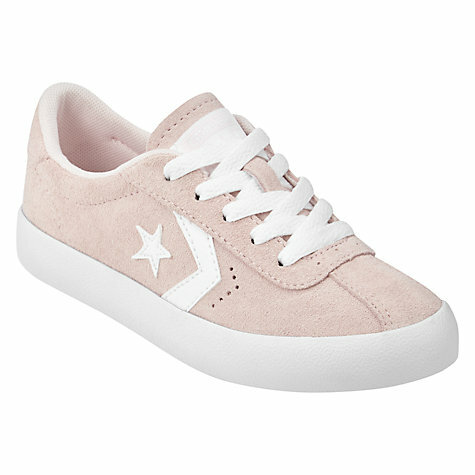 They are the most beautiful quality and there’s a monogram option. Hopefully there are few ideas in here for your own xmas wishlist. In my experience, it’s always a good idea to start dropping hints well in advance! I’m all for doing the Christmas shopping early and freeing up time for fun stuff as the season starts. 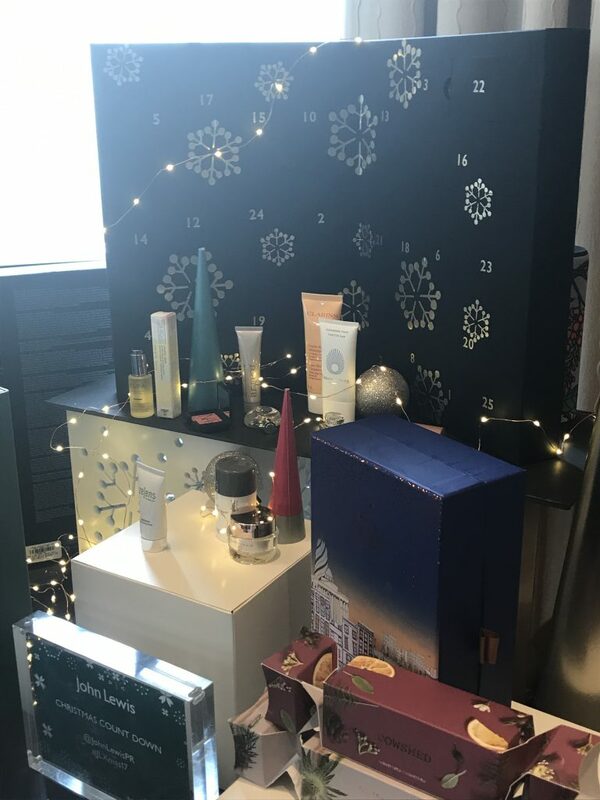 Some gorgeous picks here – my 22 year old daughter is a big fan of the beauty calendars and made great use of the gifts from the M&S one last year (which were really rather good!). This one looks right up her street.